Colin Salmon found himself in the dance-off for the second week in a row and became the fourth celebrity to leave Strictly Come Dancing 2012. Colin and his partner Kristina Rihanoff lost the dance-off with Richard Arnold and Erin Boag. The judges voted 4-0 to keep Richard Arnold in the competition with Craig Revel Horwood, Darcey Bussell and Bruno Tonioli voting to keep Richard. Len Goodman said he would have saved Richard. So it was “final dance” time for Colin and Kristina. It was a miracle escape for Richard Arnold who was 10 points behind Colin Salmon on the judges’ scoring of the first dances, having forgotten part of the routine. In the dance-off he raised his game and delivered a much better performance. Richard will really have to work much harder if he is to stand any chance of getting to Wembley in two week’s time. He has survived two dance-offs now, so a third would be pushing his luck. Victoria Pendleton was in the bottom two after the judges’ scores this week but the public vote moved her to safety. Victoria is another celebrity who will have to work harder on her technique if she is going to go further in the competition. She was very brave to open her dance standing on the judges’ desk and she looked great; if she has the confidence to do this then surely she can do anything! For me Louis Smith is the clear favourite despite a weaker performance this week. Denise Van Outen is also very strong and the other three all have a shot at the Glitterball trophy. These are the five celebrities I expect to make the semi-finals. There will have to be some significant improvements elsewhere for this to change. 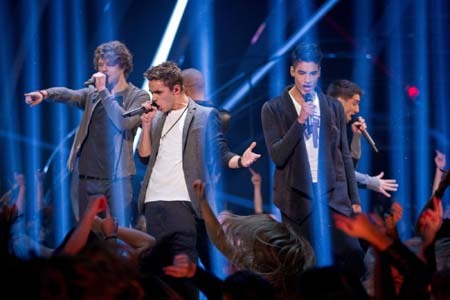 The Wanted featured on the results show and for once the director got his act together and focused on the singers, rather than showing the professional dancers in a distracting routine. Normally the cameras gets confused as they struggle to decide whether to show the singers or the dancers. Flooding the dance-floor with dancers doing their own thing worked very well. Hope they remember this in future weeks. 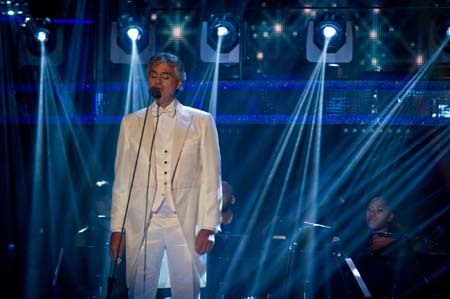 Also on the show was Andrea Bocelli who performed an enjoyable version of Nessun Dorma. Next week we will be without Sir Bruce Forsyth as he is taking a break before the Wembley show in two weeks time, so Tess Daly will be presenting the Saturday night show with Claudia Winkleman. Tess has taken to wearing some bolder outfits recently and there was much comment about her “red number” on twitter and forums during the Saturday night show. Fans were divided on whether the belt suited her! Let us know what you think. 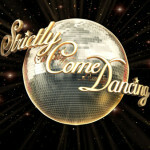 For full detail on the judges scores see Strictly Come Dancing Results.